Jordan has a very varied cuisine nurtured by a Bedouin past, and the influence of its neighboring countries, Egypt, Syria and Lebanon. Also, because Jordan was a passage for merchants' caravans for centuries, it has received gastronomic influences from other places much farther away, such as India. It is a very healthy, tasty, mildly spicy cuisine in which special attention is paid to presentation. 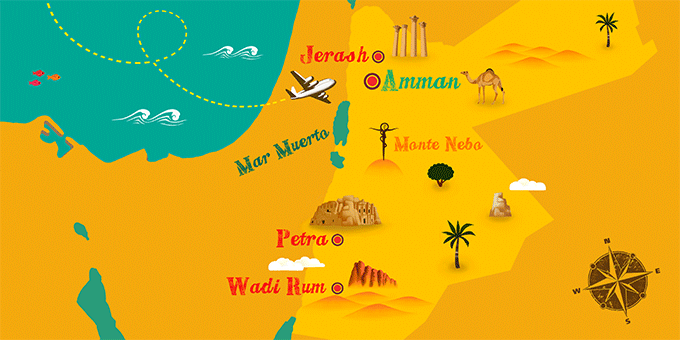 If Jordan has caught your attention, leave us your number so we can call you to discuss the voyage that awaits you.